My husband is amazing and wonderful! He is a true servant and pillar of sacrifice in our marriage. He is a faith-filled man of God, but he does not fill the ache in my heart. 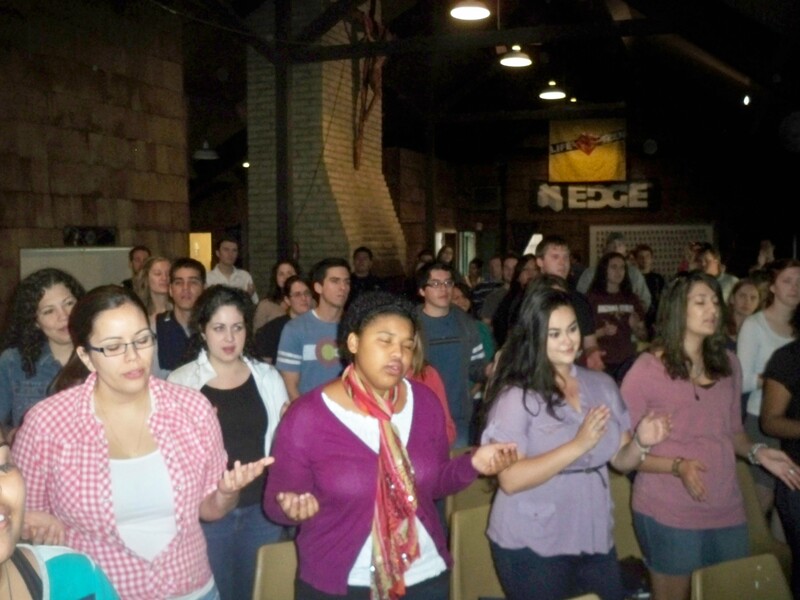 This past weekend I spoke to 100 young adults on a retreat in the mountains of Prescott, Arizona. The majority of attendees were single and feeling uncertain about their lives and the direction the Lord was taking them. In addition, many spoke of the ache they have in their hearts—the longing they have to find someone to love them in marriage. I remember this feeling myself when I was a single younger adult praying for my vocation and wondering if God would ask me to be single for the rest of my life. The thought made me feel so sad and lonely. Then something changed. My grandfather died, I hated my job, I wasn’t in a ministry that brought me joy, and I realized that some of the people I called my friends were nothing more than people I hung out with in order to avoid being alone. I felt like the bottom floor of my life was crumbling and I had no control or solution on how to fix it. I was falling into a pit of despair wondering where the Lord was. At this point in my life I thought I knew the Lord. I went to Mass every Sunday, read books about the faith and thought I had reached a ceiling in knowing the Lord, and when this priest said these words, I realized maybe I have only known the Lord a little. Excitement grew as I thought about growing to know Him more. It was like a mystery I was anxious to solve. I began to spend more time with the Lord and fasted from television, phone, and friends. I decided to direct my full attention and time to building a real relationship with Him. Friends would call and ask me to do things, and there would be a small desire, but instead I said no and committed to getting to a point with the Lord where I could honestly say He was enough for me. I spent a lot of time alone reading, writing and praying. As time passed, I no longer felt bored and alone even though there was no one around. I learned to like myself again and enjoy my own company. Every day I would ask myself the question, “If you had nothing and no one in your life, would God still be enough?” It would test my strength. This journey of emptying myself and my thoughts took months, but I knew I needed to do something drastic to make room for the Lord. I no longer wanted to settle for the ache when I knew how to quench it. Soon after, I began to open myself back up to friends who had my best interest in mind and became social again. I no longer felt alone in a group full of people, and truly it had nothing to do with them and everything to do with the Lord. The ache in my heart was gone; I felt complete as if I needed nothing more, not even a husband. The Lord was satisfying the longing in my heart. Don’t get me wrong, there were times of loneliness, but the difference was I never felt alone. I stopped focusing my life on wondering if I would get married, become a nun or be single. And now the thought of being single for the rest of my life didn’t feel like the worst option on the list of vocations but rather one that was equally fulfilling. Christ was enough for me and if he called me to be single, it would be because that life was going to offer me more joy than even married life or holy orders would. I trusted the Lord’s plan. When people would ask what I thought my vocation was, I did not give the answer they were looking for. Instead, I would say, “My vocation is holiness and whatever comes from that, Christ will reveal to me in time.” The burden was gone, and I could live my single days with direction– with the direction of just trying to be holy. That alone was a challenging, time consuming task, as I was trying to overcome my own pride, selfish desires and need to control. Some days I would fail, and the next day, I would try again. When Doug did walk through the doors of my life, I was in a good place, and he was in a good place—we were both in a healthy place in our lives. We both separately had a dependence on the Lord, we trusted in Him and weren’t looking for someone or something to quench any ache. We were both ache-less! This allowed us to move forward in just working on our holiness, still as individuals but also now as a couple. We are married and we still do the same thing. And, when life gets busy and we drop the ball in our prayer life the ache creeps back in, but it is one that we have learned that neither of us have the ability or power to fix in the other. But, what we do for one another when one feels distant from the Lord is we give each other the time, space and encouragement to grow closer to the Lord—to know Him in a deeper more personal way. And, it’s not easy; it takes sacrifice to let the other spend time away from the family to go do something else, but having God in the center of our own lives and in our marriage is why we have the joy we do, so the sacrifice of allowing the other to take time alone or away to grow in prayer is one we must do to sustain the joy in our hearts and the joy in our marriage. My husband is amazing and wonderful! He is a true servant and pillar of sacrifice in our marriage. He is a faith-filled man of God, but he does not fill the ache in my heart. Only God can fill the ache. ← What Does Your “Yes” Mean?